McCoy Peak Lodge is a prime example of one of TAB’s past resort projects. Colorado offers beautiful landscapes and numerous outdoor activities during spring and summer seasons, spectacular scenery during the fall and challenging snow covered mountain slopes in the winter. These reasons, alone, make resort architecture in Colorado a competitive business as more and more visitors make their way to the to the state to enjoy extraordinary vacations, weekend getaways or as a retirement destinations. McCoy Peak Lodge is a fine example of the type of outstanding architecture that draws visitors to Colorado. The 160,000 sq. ft. lodge is family-friendly with 36 luxury condominium units, underground parking and stunning views. Tab Bonidy utilized his 16 years of experience to capture the essence of what a luxury resort should entail in design, construction and budget while optimizing the mountain landscape of Beaver Creek. The project exemplifies Tab’s ability to create a vision with a positive impact while keeping all elements of the project in balance. When the best in design, creativity and architectural balance is needed to develop a complete plan for a luxury resort from start to finish, contact TAB Associates, Inc. and let the experienced architects be the visionaries of your next project. At TAB Associates, part of our philosophy is to bring the very best to our clients, and that includes presenting the very latest innovative bathroom plumbing fixtures. Form and function are married in 2013’s latest bathroom plumbing fixtures. Freestanding bathtubs. Not only is this a triumph of design for spatial use, it’s sheer practical elegance. High-functioning showerheads. This trend poses that the more a showerhead can do, the better. Intense massage, rain shower drenches, and pulses are just the beginning for a pleasant shower experience. Touch-sensitive faucets. You no longer have to worry about shutting off the faucet with wet hands; simply touch the faucet anywhere on the Delta Touch20®, and you can keep your faucet clean while shutting off the water. We believe that the most innovative bathroom plumbing fixtures, however, are what our clients want to see in their own custom designed buildings, and we assist based not only upon what’s trendy or popular, but what works best for the individual’s needs. To learn more about how TAB Associates can help meet your architecture and planning needs, call us at 970.766.1470. Posted on March 15, 2013 Author admintabassociatesCategories Architectural Trends, Featured, TAB ServicesTags Architectural Trends in 2013, Installing Bathroom Plumbing Fixtures, New Architectural Trends, TAB Associates INC. in EdwardsLeave a comment on What Are the Latest Trends In Bathroom Plumbing Fixtures? Architects in Vail Valley do their part in serving the community and TAB Associates, Inc. is no exception. Founder and President of TAB Associates, Tab Bonidy, is a perfect example of someone who gives back to the community by providing monetary contributions, time and services to important educational and environmental projects. Habitat for Humanity is one of several organizations to benefit from TAB’s active community involvement. Tab has contributed to an important program at Avon Elementary, allowing students to be involved in quality programs at Gore Range Natural Science School. The Committee for Our Kids Future also had the benefit of Mr. Bonidy’s time and commitment in bringing to the forefront the need for new schools, renovating existing buildings, raising teacher’s salaries, and upgrading each school’s involvement with computer technology. Through the committees endeavors, a school bond issue was put forth and approved for these improvements. Greg Macik, a member of the TAB team, does his part for the community as well by contributing his time, energy and resources with the National Trust for Historic Preservation and the Historical Society of Eagle Valley. Further, TAB Associates, Inc. has worked with Habitat for Humanity of Eagle and Lake Counties by providing architectural services, at no cost, since 2004. To learn more about TAB’s projects in the area, check out our Community Involvement page! TAB Associates can handle architecture projects both small and large, as per your request. One of the best architecture firms in Colorado for complete balance and attention to detail when creating a client’s vision is TAB Associates, Inc., currently located in Edwards. Founder and President, Tab Bonidy, has shared his architectural expertise with his clients for over 35 years. With this extensive knowledge, he has come to understand that his goal is always to create a client’s vision without overriding it with his own. Maintaining balance in all things related to a project to include client needs, budget, planning, and requirement is his, and his design team’s, goal from beginning to the end result. TAB Associates, Inc. focuses on all aspects of architecture design from room and building additions to new residences and commercial buildings. Along with creating the plans and building a single or multi-room structure, business, or resort, the professional staff is fully experienced in interior and exterior renovations and remodeling. As a company that strives to serve its clients in all areas, the team takes your vision and works with you to implement what you need. TAB specializes in log homes, vacation homes, townhomes, and residential properties as well as resorts, commercial businesses, and educational and medical facilities maintaining a perfect balance regardless of the size of the project. To speak with a professional at TAB Associates, Inc., call 970.766.1470 today! Every discipline and study, typically, has a board of highly-trained professionals and members of academia that set base standards for the practice; Architecture is one of them. The upcoming AIA National Convention will be offering an array of informative keynote speakers, tours, and educational seminars. 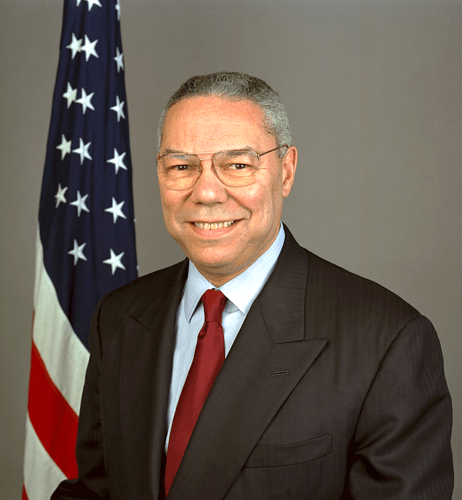 Colin Powell will round out AIA 2013 with a speech on leadership and facing challenges. If you’ve been wondering who will be gracing the stage at this year’s AIA National Convention, here is a brief preview of a few of the speakers and seminars to expect. Blake Mycoskie, founder of TOMS, is the opening keynote speaker who will address entrepreneurial leadership focusing on humanitarianism. His concept of giving a pair of shoes to in-need children for every pair of his brand sold turned from a singular concept to a global movement. Cameron Sinclair will speak about the architectural profession, as a whole, and how those in the profession can make a difference by taking on global projects and ensuring the results have a long-lasting and positive effect on the future. Leadership will be the focus of General Colin Powell in the closing keynote speech. General Powell will reflect on the challenges and benefits of being a leader. Guests will have access to approximately 160 seminars to choose from as well as preconvention workshops and self-guided educational tours. Staying current with trending styles in modern architecture is an on-going responsibility of architects. Such is the case with the team at TAB Associates, Inc. whose goal is to always be in the forefront with the latest information available regarding trends in Colorado architecture as well as providing up-to-date options for planning and interior designs.